The Old Westbury Gardens were originally the home of John and Margarita Grace Phipps. The 1906 Charles II-style mansion sat on 200 acres of beautiful gardens, landscaping, woods and water. The family lived there for over 50 years, and the classic antique furniture inside reflects the times they spent there. Now, the Westbury Gardens serve as a vessel for appreciating country estates from early-20th century America. 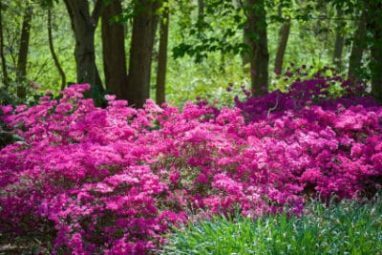 With the home, furnishings and landscape all preserved, the Old Westbury Gardens are an enjoyable place to visit for the entire family. By taking the guided tours, families of all ages can learn about the gardens and architecture of this magnificent estate. Events and exhibits held at the gardens include indoor and outdoor concerts, horticulture demonstrations, fun Scottish games, botanical gardens, museums, car shows and tours covering the gardens, art, history and architecture. Overall, the Old Westbury Gardens make for a fun visit because they completely transport you to a different time. Walt Whitman was born in a small farmhouse in the small Long Island community of Huntington. A renowned American poet, Whitman wrote some of the 19th century’s most important literature. Whitman covered the westward expansion, slavery, the Civil War and immigration. Walt Whitman’s birthplace gives visitors a glimpse into the mind of one of America’s most iconic writers. Seeing Whitman’s 19th century home along with all of the featured exhibits sheds light upon Whitman’s inspiration and background. For fans of Whitman, this is a must-visit location. As the oldest lighthouse in the state of New York, the construction of Montauk Point Lighthouse was authorized by George Washington in 1792. To this day, this national landmark serves as a functional lighthouse. Now, not only is Montauk beautifully located at the tip of eastern Long Island, but the lighthouse is available to explore as well! For a 360 degree view from atop of a lighthouse almost as old as the country itself, Montauk Point Lighthouse is your perfect destination. The view of the ocean, the beautiful landscape of the green hills and the narrow beaches all make this a must-visit location while you are in Long Island. After enjoying your visit or taking in the sights of your home town in Long Island, consider giving back to the Long Island community. You can do so by simply donating your unwanted vehicle to Wheels For Wishes, a nonprofit 501(c)(3) car donation organization. When you donate, Wheels For Wishes benefits Make-A-Wish. In turn, local kids with critical illnesses get to live their dreams! Driving in New York can be hectic! Relieve yourself by making a donation. In the process, Wheels For Wishes will pick up your vehicle for free and provide you with a 100 percent tax deductible receipt! Everyone wins! You can give back to Long Island today by calling 1-877-431-9474 or by filling out an online donation form.